"I'm not worth dying for!" Blake finally takes the Liberator back to Earth. His plan is to attack the Federation's Central Control, an underground complex that monitors everything happening across all Federation worlds. Knowing that his crew may be reluctant to be part of such a dangerous mission, Blake has made contact with a woman called Kasabi, an ex-Federation officer who is now a resistance leader on Earth. Servalan and Travis are aware of Blake's plan and ambush Kasabi's resistance group, taking her captive. Under torture, Kasabi reveals where and how she was to make contact with Blake. The crew agree to help Blake with his attack on Central Control. Blake and Gan teleport to the rendezvous point but, rather than Kasabi, they find only Kasabi's daughter Veron who tells them of her mother's capture. Despite this setback, Blake is still determined to carry out his attack. Meanwhile, Avon and Vila investigate the 'Forbidden Zone' where Central Control is located and discover that the entrance is protected by an automated security system. 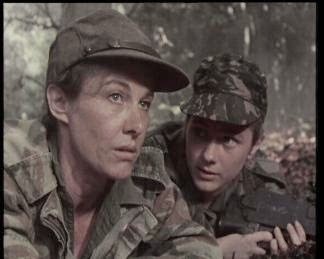 Avon and Vila rejoin Blake and Gan to plan their attack where they are knocked out by a gas grenade set off by Veron who has betrayed them in order to save her mother. Veron steals their communicator bracelets, leaving the four men cut off from the Liberator and unable to to teleport. When they come to, Blake is still determined to carry out his mission. They hurry to the Forbidden Zone where they manage to get past the security system's traps and gain access to the Central Control complex. They being to make their way down to the main computer room. Travis is in hot pursuit. Meanwhile, back on board the Liberator, Jenna - concerned at not having heard from the others - decides to teleport down to look for them. Blake and the others have found the entrance to the main computer room of Central Control and are able to gain access. Inside they find nothing but an empty room. Travis arrives and informs Blake that Central Control was moved to a new, secret location thirty years previously and that the complex that Blake has just broken into is used by the Federation as bait to lure and capture rebels like Blake. 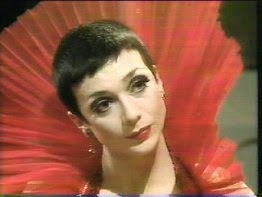 Before Travis can execute Blake and the others, Servalan arrives and orders Travis to release them. She is being held at gunpoint by Jenna who, along with Veron, captured Servalan and forced her to take them to Blake. Reluctantly, Travis releases his prisoners and they begin to make their way back to the surface in order to teleport back to the Liberator. Travis pursues them and throws a grenade which brings the ceiling down. Gan is trapped beneath the rubble and, despite Blake's attempts to help, dies. Remorsefully, Blake and the others return to the Liberator and depart the solar system. Blake: Tells no one (except possibly Cally) about his intentions to attack the Central Control on Earth. Everyone is therefore rather upset when he does eventually tell them. He is so focused on attacking and destroying Control that he fails to see the warning signs that things are going wrong and carries on regardless. In the end this single-mindedness costs him dearly. Not only does he discover that he's been tricked but he also loses one of his crew. Blake is a much humbler man at the end of the episode than he was at the beginning. 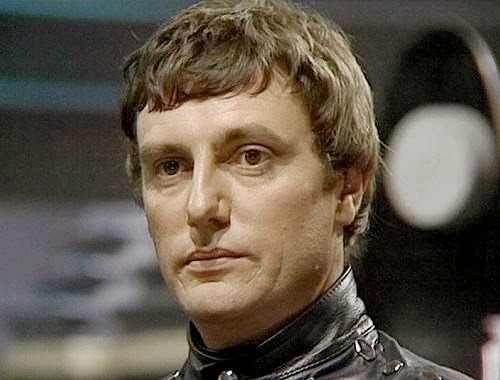 Avon: Given their rather tense relationship of late, it's a little surprising to see Avon actually agree to help Blake on his raid on Central Control. However Avon makes it clear that he has an ulterior motive. If Blake succeeds in his plan then the Federation will be at their weakest and Blake will be needed to co-ordinate the resistance on Earth. With Blake on Earth then someone will need to look after the Liberator. That someone will be Avon. Ultimately, of course, it all comes to nothing. Jenna: Surprisingly, given how loyal she's been in the past, Blake doesn't tell Jenna about his plans to attack Central Control. Understandably she is rather upset at this but, like the others, does agree to help him. 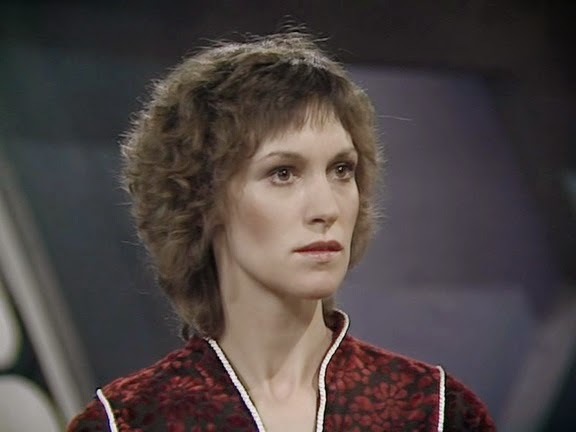 She teleports down when the Blake and the others fail to report in and ultimately saves the day by capturing Servalan and forcing her to release Blake and the others. Gan: Like the others, he is initially unhappy with Blake's plan but agrees to go along with it. His softer side comes to the fore again as we see him comforting the supposedly orphaned Veron. There's also a few opportunities for him to show off his strength, most notably when he breaks down a door -although he does admit afterwards to being "a bit out of condition." He meets his end when,whilst helping the others to escape, he is trapped under a pile of falling rubble. Cally: Is the only one of the crew who seems to be aware of Blake's plan. This either means that Blake trusted Cally enough to only tell her of his intentions or she may be simply better able to understand Blake than the others are and guessed what his plans were. Servalan: The usually cool, calm and collected Servalan let's her guard down here when she comes face to face with Kasabi, the rebel leader who was once a trainer in the Federation. Servalan was one of her students and she turned Kasabi in to the authorities when Kasabi started trying to persuade her students to join the rebels. Kasabi had said that Servalan was unfit for command, something which even years later Servalan takes rather personally. She seems to take great delight in torturing Kasabi and intentionally uses too much truth serum which ultimately kills her former teacher. There are several times where it is Travis of all people who has to tell Servalan to keep her mind on the mission at hand. 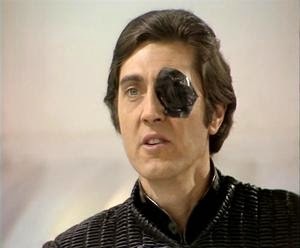 Travis: Is informed by Servalan that this is his 'last chance' to capture Blake. He actually does get the closest yet to succeeding and, ironically, only fails because of Servalan. Travis here appears more like his old self from the first series. He uses his knowledge and understanding of Blake to predict exactly what Blake will do and sets his trap accordingly. It's only after Servalan has allowed Blake to be set free that Travis loses his cool and starts throwing grenades in confined spaces. 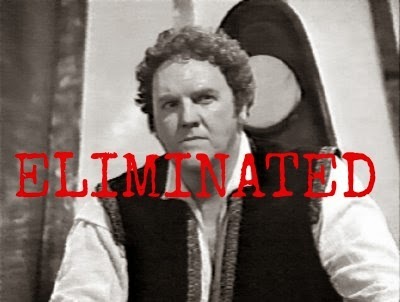 The one consolation for him is that, while he failed to kill Blake, he did manage to kill Gan. Nowadays people would call this episode a 'game changer': one of those episodes where you know things aren't going to be quite the same again. Is 'Pressure Point' really one of those episodes? I would say that it probably is. On the one hand we have the departure of Gan from the crew. 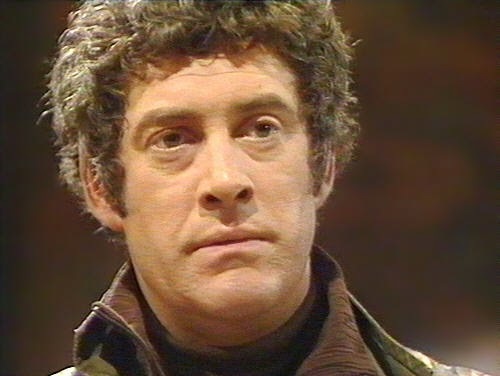 Whilst this does shake things up to an extent, and it will be most keenly seen in the next episode, the character's death has less of an impact on either the crew or indeed the audience than had it been Vila, for instance, who had bitten the bullet. The sad fact is that, as much as I like the character, there were times when he was a bit of third wheel (or in this case seventh wheel) in a large regular cast where it was a struggle to find something for everyone to deal. I doubt that most of the audience at the time would have greatly missed him. So Gan's death itself is not really a 'game changer' to my mind. What is important is what his death represents. It shows that Blake and his crew are not invulnerable and they don't always win. They say that some pride comes before a fall and there's no doubt that Blake, who has been something of an egotistical, overconfident idiot so far this series, falls rather hard here. Gareth Thomas, playing Blake, is at his best during the scenes where he discovers how he's been tricked and his world falls apart around him. Overall, this is a really good episode. There's lots of action, lots of snappy dialogue and everyone gets plenty to do - well, everyone except Cally at least. It's nice to see David Jackson as Gan get a decent amount to do in his final episode. Although the episode isn't really about Gan as such it is nice that he has a prominent role. Next time: both Blake and Travis have to face the consequences of their actions in 'Trial'. 27 August Edit: I found this excellent video tribute to Gan on You Tube and hsd to add it here. Credit for the video goes to You Tube user Zukalis. The clips come from the BBC and the music is by Stan Bush.